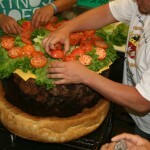 This epitomises the American attitude to food. 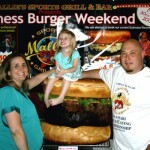 Mallies Sports Grill and Bar in Southgate Michigan have entered the Guinness Book of Records by cooking the worlds largest burger. 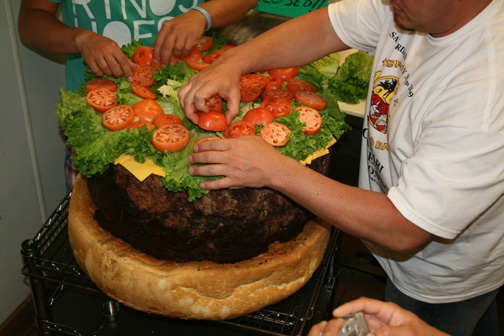 You, yes you, can order one for the princely price of US$2,000. They will deliver, but probably not to New Zealand. 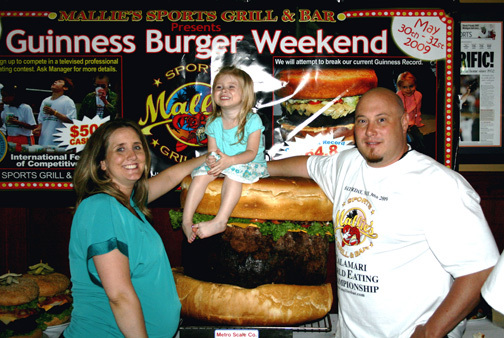 In front of a capacity crowd, Mallie’s put out on display the all new world’s record burger weighing in at an unbelievable weight of 185.6 lbs, beating the old Mallie and Guinness record by over 20 pounds of 164.8 lbs. 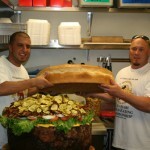 Hooey, hot diggitedy dawg – that’s one mighty big burger! 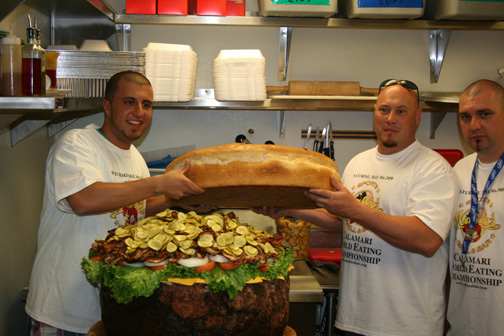 Like I’m gonna eat it after she’s been sitting on it?